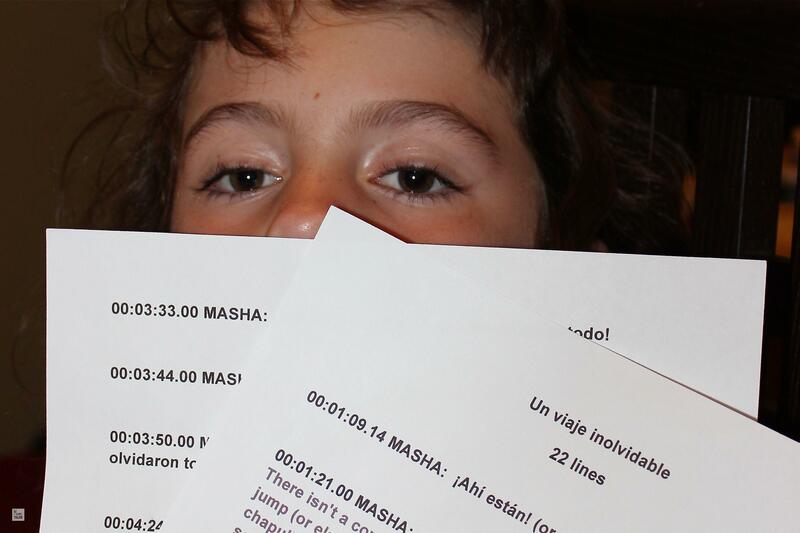 As per my previous post, today was supposed to be Little Miss I’s acting debut doing the lead voice for Masha and the Bear. However, last night she came down with a high fever and a headache, and woke up vomiting too. So, what to do when a child actress gets sick? It’s not serious, just seems to be a mild case of the flu (thank goodness for vaccines!!). But she was definitely too sick to work. This was my introduction to being a child actress parent… and a director too. I was really at a loss on what to do. On one hand I know what it means for a production to cancel a recording session last minute, but on the other hand you can’t let a sick child act. Fortunately for us our producer has children of her own and was incredibly understanding. I was pretty much ready to go work myself and leave Little Miss I with a nanny if they wanted to go ahead with the day with another actress, but I guess things were not as dire as I thought they would be if we just rescheduled. In the film industry (adult world) nothing stops a show. Or at least very few things do. I know of actors, directors, DP’s, and more crew members who would show up to work regardless of sickness or personal reasons. Last year, when we opened my first feature in Mexico, the lead actress had her daughter in the hospital — and she showed up at the press conference and the red carpet nonetheless. In the industry we all know that the show must go on… but with a child? You really can’t do that to a kid. I much rather not let my child act than to subject her to work conditions such as those. As an adult you can decide and make your choices — as a child, I have to make those decisions for her and look after her best interests. And health is first. My husband was there to make this point very clearly, and I think it was a good lesson to start her career with. Tagged Acting, Family, Inspiration for Kids. So sorry to hear she got sick! I’m glad though that you were able to reschedule. Aww… thanks, Anna! She’s feeling much better now. I even did her nails 🙂 We went to the doctor to make sure it wasn’t anything more than just a cold, and fortunately it wasn’t. We shall resume the acting-directing in early July!